Family traditions from our corner of the world to yours! Seasoned lamb & beef mixture wrapped in a 7 inch pita. Topped w/tomatoes, onions, & tzatziki sauce. 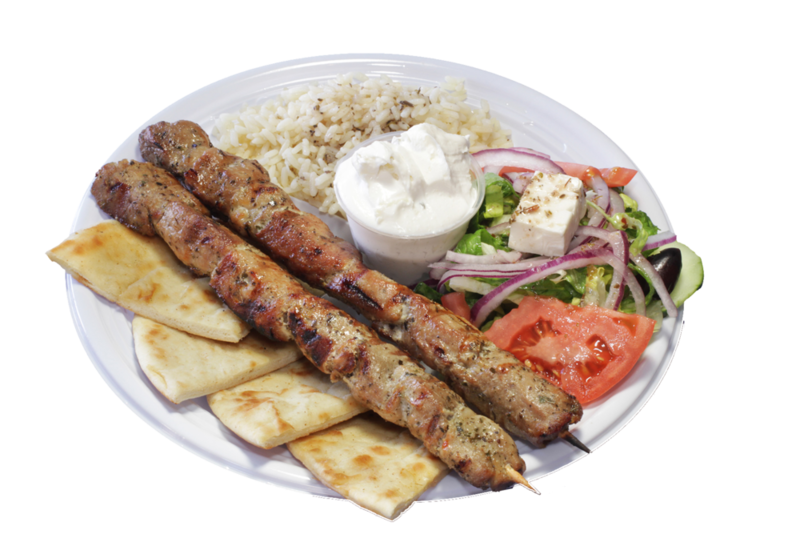 We only use the best of the BEST: Kronos Grade A gyros meat. 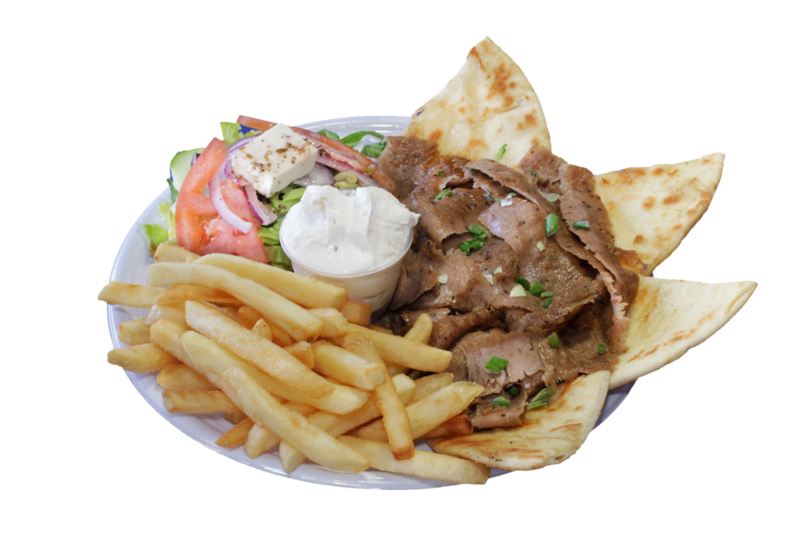 Gyros and Greek fries together as one! With lettuce, tomatoes, red onions & Greek vinaigrette. A sandwich fit for the GODS! Romaine lettuce, tomatoes, red onions, cucumbers, feta cheese, & olives. Served with hummus or tzatziki sauce. Fresh & satisfying! 1/3 lb 100% pure beef, charbroiled w/ romaine lettuce, tomatoes, & red onions w/ American cheese. 1/3 lb 100% pure beef, charbroiled w/ feta cheese, kalamata olives, romaine lettuce, tomatoes & red onions. Served on pita!! Marinated chicken breast, tzatziki sauce, scallions, tomatoes, feta cheese, romaine lettuce, fresh lemon & kalamata olives. 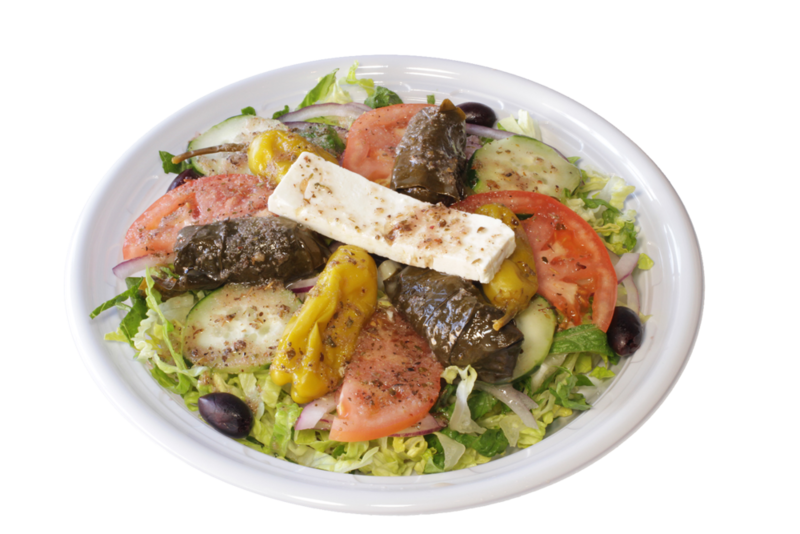 Fresh romaine lettuce, roasted bell peppers, kalamata olives, red onions, cucumber cubes with chopped gyros meat & tangy tzatziki. Served w/ Pita bread. Romaine lettuce, red onions, tomatoes, cucumbers, feta cheese, kalamata olives, served with homemade Greek dressing and French bread. Traditional egg-lemon soup, made with rice and chicken broth. Made fresh daily!